for your kind generosity with contributions over this past year. 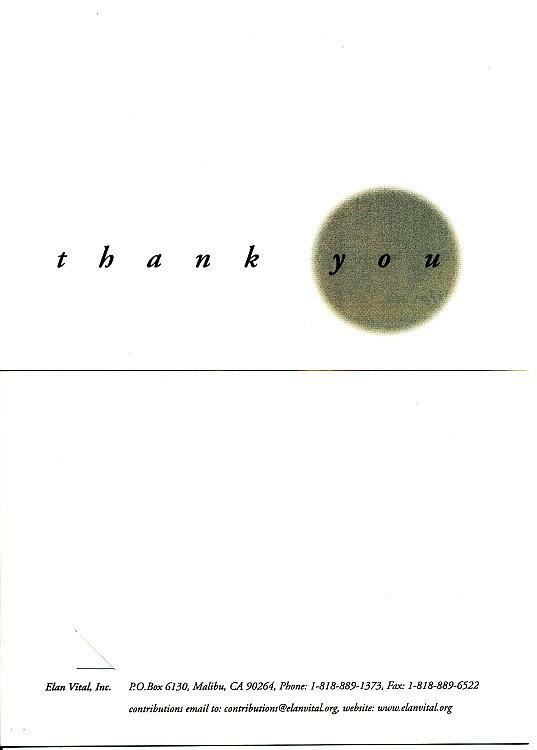 Your efforts helped make 1999 a successful year of new transitions. 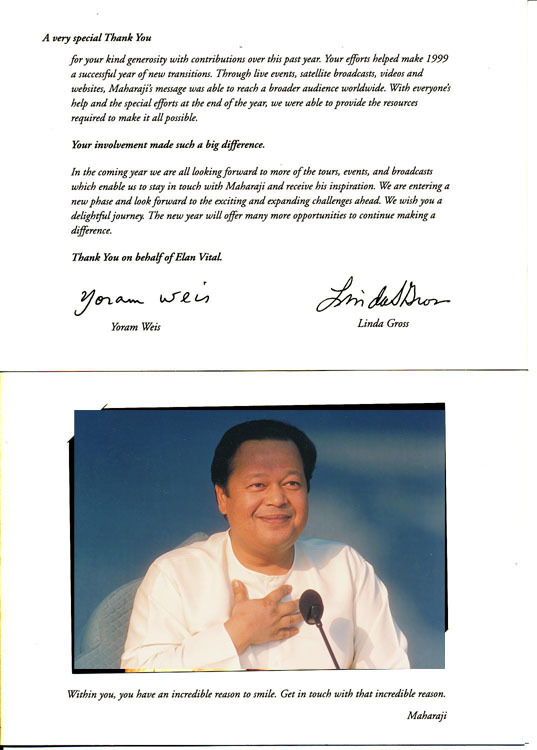 Through live events, satellite broadcasts, videos and websites, Maharaji's message was able to reach a broader audience worldwide. With everyone's help and the special efforts at the end of the year, we were able to provide the resources required to make it all possible. Your involvement made such a big difference. 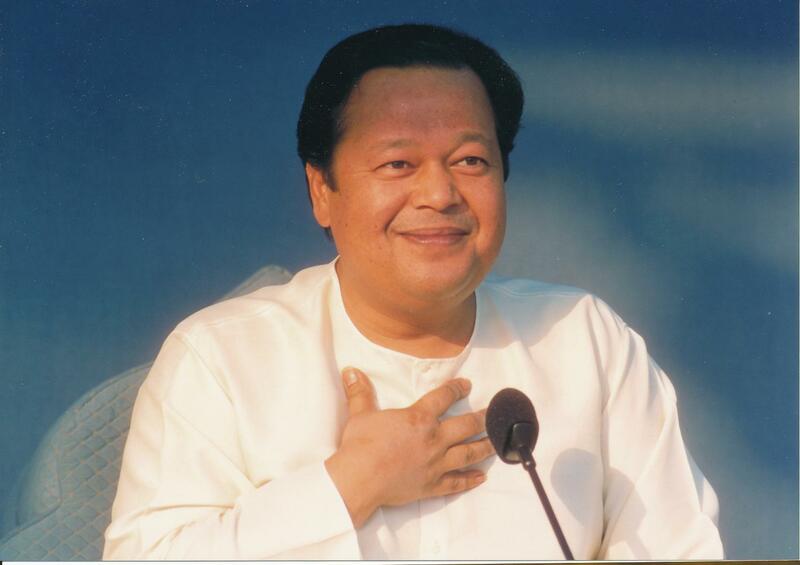 In the coming year we are all looking forward to more of the tours, events, and broadcasts which enable us to stay in touch with Maharaji and receive his inspiration. We are entering a new phase and look forward to the exciting and expanding challenges ahead. We wish you a delightful journey. The new year will offer many more opportunities to continue making a difference. Thank You on behalf of Elan Vital. Within you, you have an incredible reason to smile. Get in touch with that incredible reason.